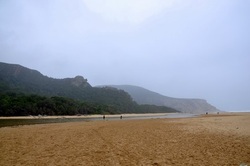 As you head along the enticing beach at Nature's Valley in an easterly direction, be on the lookout for the rocky outcrop straight ahead which forms the pig's head. 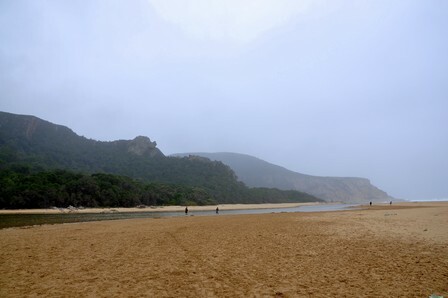 If the river mouth is open to the sea, cross the Groot River. 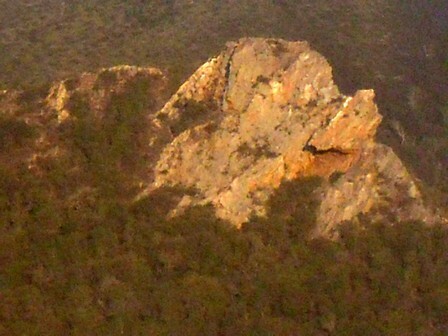 Just to the left of the nearby rocks steps lead into the indigenous forest. 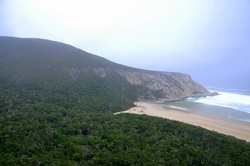 The trail is signposted but don't be confused by other signs as this is also the spectacular Tsitsikamma Trail. 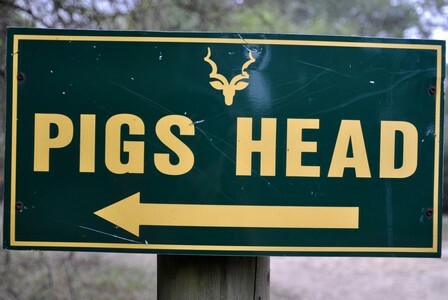 Follow the Pig's Head signs. 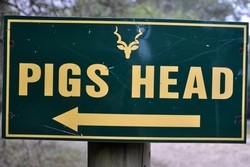 The left turn-off onto pig's head itself is not very clear, look out for a fallen sign reading "Warning. 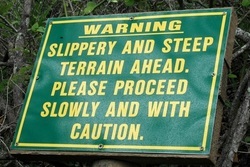 Slippery and steep terrain ahead, please proceed slowly and with caution", but once you break through the shrubs the view is breathtaking. 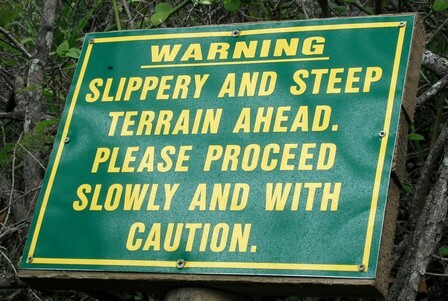 Be cautious as you negotiate the rocks. 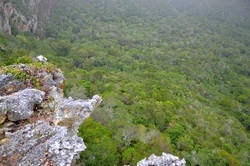 Difficulty: Moderate, short but quite a steep climb to the top. Directions: From the parking area at the lagoon in Natures Valley walk across the beach round the lagoon past a rock outcrop on the beach, find the path through the trees. If the river mouth is open you will have to cross it, but it is normally quite shallow. Other: Take your camera as you will have a great view over Natures Valley and the sea from the top. Take some water.